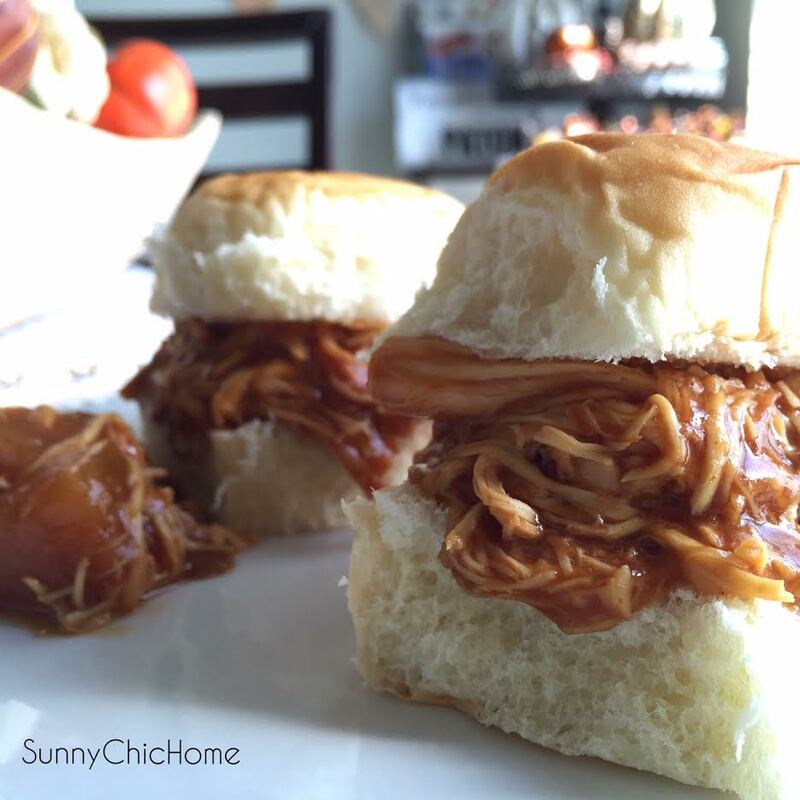 This recipe is quick and easy...and perfect for Football Sundays! I usually throw everything in the crock pot before church and by game time the sliders are ready! -With your crock pot on HIGH add your chicken breasts and the whole can of pineapple chunks. Add about 3/4 the bottle of BBQ sauce. -Let cook for 4 hours on high. After 4 hours take a fork and shred the chicken. Stir till all mixed.